Mix together all the ingredients in a pressure cooker. Cook on a high flame till the first whistle. Soon after the first whistle is heard, lower the fire and cook for half an hour. 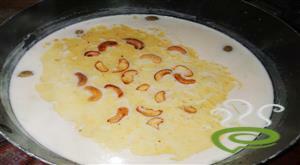 Fry cashews and raisins in ghee. Garnish the paayasam with the fried cashews and raisins. :- Serve hot or chilled. Thank u very much. 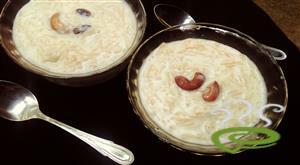 Simple to prepare and very delicious. 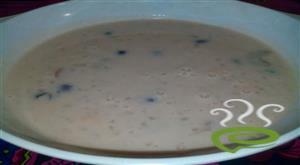 I tried this recipe, it is very easy to cook. I am sure kids will love it. lovely. 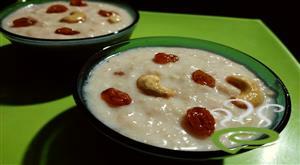 tried this dish today and turned out very well.only i think the amount of milk was alittle too much for a quarter cup rice.I added sago to thicken it.i used "pachari". 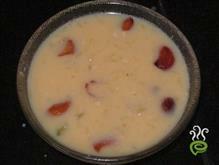 It was a very good recipe, I think the amount of milk can be reduced to get thick payasam. was so easy to make and it tasted great too!! Great recipe.Thanks. 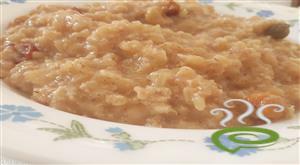 this recipe is simple-quick to make & delicious. 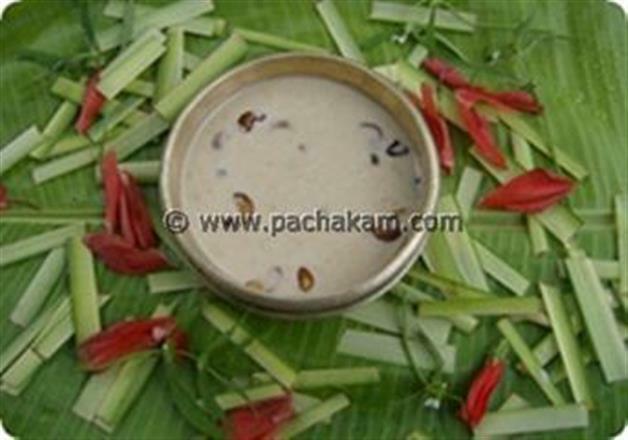 can u forward a recipe for Parippu payasam (with sharkkara) to: ? Thanks.